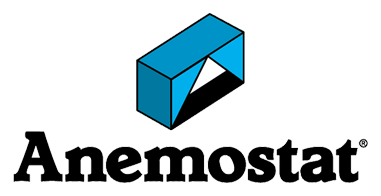 Anemostat is the name of the pioneer company in air distribution equipment. The name, which is a registered trademark, comes from two Greek words: anemos (meaning “wind”) and statikos (meaning “causing to stand”).Together they mean “to control the wind”. What that name stands for is an over half-century old tradition of being first and finest inindividual products and systems which control air flow in commercial and industrial buildings. Anemostat manufactures a complete line of air distribution Equipment. The products include diffusers, grilles, registers, terminal boxes, Induction boxes and retrofit kits. Their Security Products are theindustry standard in correctional facilities, jails, prisons and youth detention centers in the local, state and federal government sectors, providing air distribution solutions for the prevention of impact, penetration and personal risk. Whatever the application or requirement the Anemostat tradition of quality and innovation will rise to the challenge.